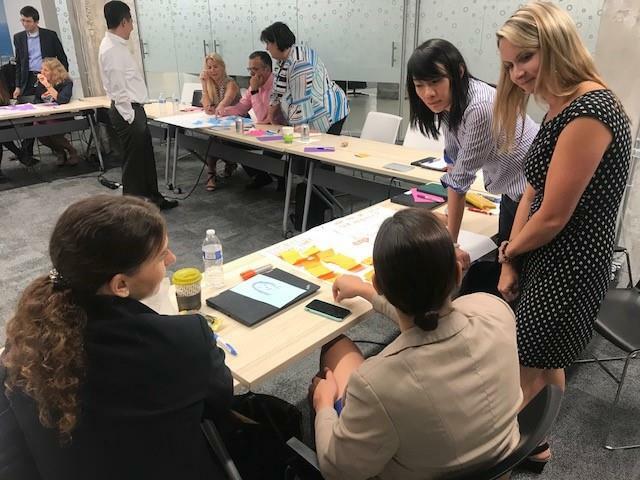 On Thursday, Aug. 9, The Chicago Connectory partnered with 1871 to host a WISTEM mentorship kick-off event for about 25 Bosch directors in the Chicagoland area. WISTEM, which stands for "Women in STEM" (science, technology, engineering and mathematics), is 1871's women-founder program that addresses major barriers women face in entrepreneurship. The program is literally a seed-stage accelerator which takes women's innovative ideas all the way to commercialization. "Things are harder for women entrepreneurs. There is still a large funding gap, and we still have a long way to go," said Disha Gulati, vice president of corporate innovation at 1871. "For every $98 a man raises in angel fund or venture capitalist money, a woman raises only $2. WISTEM focuses on access to capital and other things to close this chasm." Disha added that there is still a shortage of women mentors with less access to networks. However, there is a silver lining. Chicago has 30 percent of female founders, which is actually the greatest percentage of women entrepreneurs out of the top 20 startup ecosystems. During the event, participants learned about WISTEM, had lunch with former members, and asked some questions. In addition, they engaged in interactive activities to help them become better prepared for their mentorship experience - in which they will mentor several of the women participating in the 1871 WISTEM program. "I think it was a fantastic event and opportunity to learn and give back through experience I've had in Bosch's corporate environment," said UliJaschek, director of product marketing for Bosch's automotive aftermarket business. "I've had many mentors in the past, and I want to give back, especially to help fellow women! And the Connectory itself - it's just a great collaboration space and the energy in here is always so high. I feel like I'm so much more productive here."